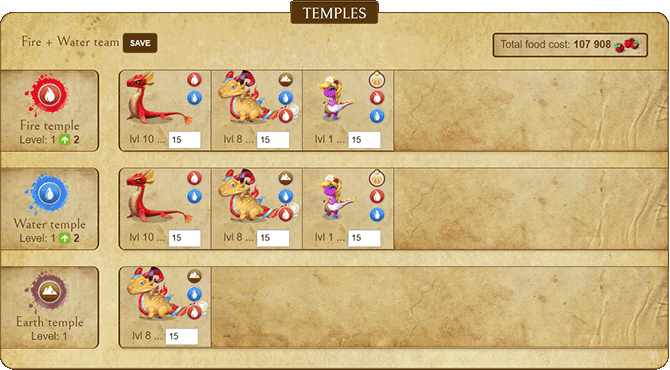 - Rewritten from scratch, focusing on the overview of which dragon affects which temple. - You can plan out different strategies and then save those strategies for quick comparison later on. - No more confusing options between plan and edit mode - it's all 100% planning now. - Dragon search box isn't cluttered by already assinged dragons anymore, allowing you to focus on dragons that haven't been added to any habitat yet. - I wanted the planner to have more fantasy feel to it, so the UI should be a little bit more game-y now. - Dragon images are now always facing the same direction (yes, there were more than one user who noticed and reported that). 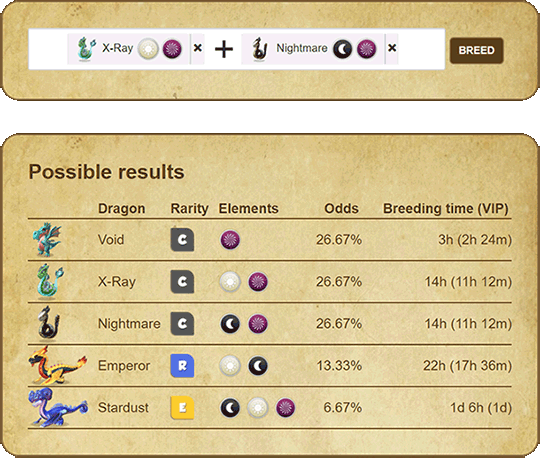 - Every dragon now has a quick link to DML Wiki for additional information. Happy planning and as always, feedback both good and bad is more than welcome! P.S. @Andras, can I kindly ask you to rename this topic to "Planner tool for temples and economy", since the scope of the planner has grown bigger since the initial version. This is amazing toomas. Thank you so much. As a bonus content for you all, here's a DML version of a small puzzle game that I've always liked - 2048. If you've never played the original game before, the game mechanic is really simple: use the arrow keys on your keyboard to move the elements around. Elements with the same type merge, turning into an element of higher type. The goal is to get to the highest element, the Divine one. 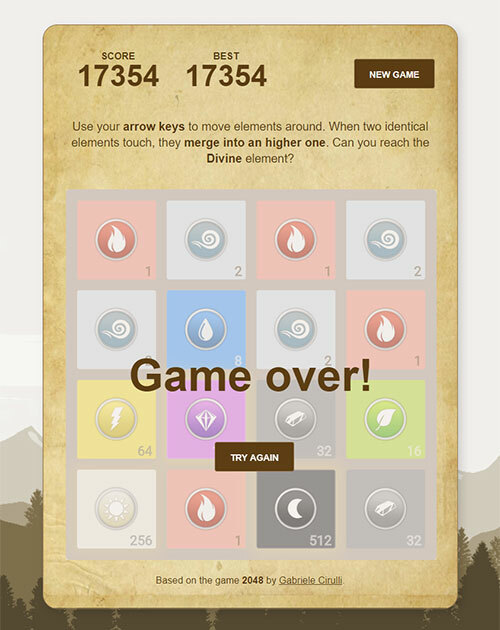 I've only managed to get to the Legendary element. May the elemental gods bring you better luck! Wow! Thanks so much! I will definitely try this later tonight! I love 2048 (in all its various forms) and combined with my favorite game, well...that's awesome!! You rock! May the old dragon gods of theorycrafting smile upon you! 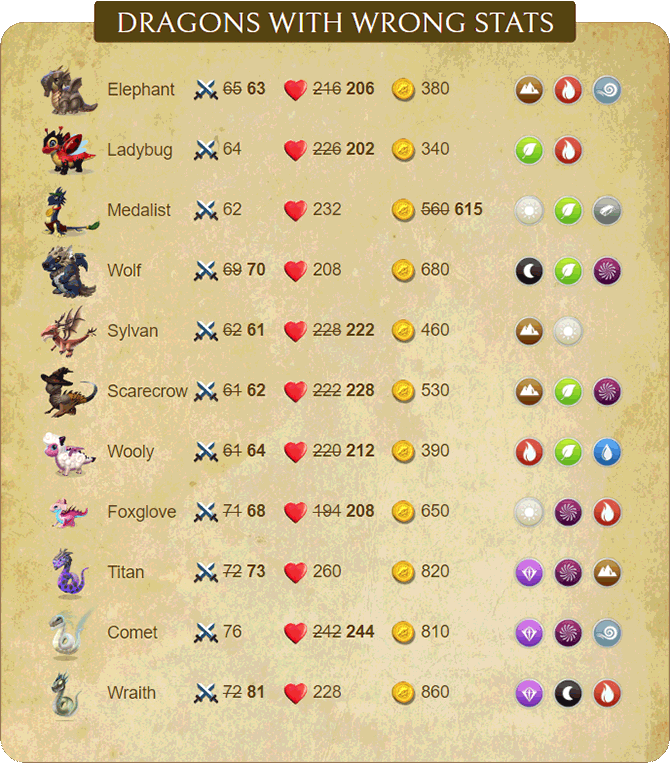 @Queendom pointed out that quite a few dragons on Wiki are listed with incorrect stats. 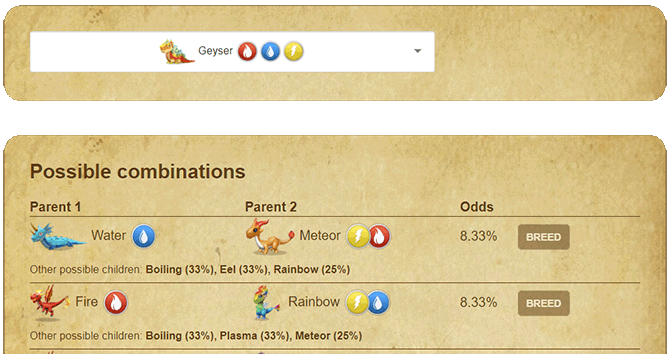 Since DML Planner's dragon database was imported from Wiki, then those incorrect stats came along. Here's a list of dragons that had either incorrect damage, health or gold. These are now fixed. Also, in the future, whenever Gameloft comes up with new dragons, I'll make sure to let the system calculate the correct stats based on the dragon's elements and type, rather than copying base damage/health/gold manually. Gotta agree with Finrod. It really is amazing what you've done and created for the community, toomas. It's so useful. I have your page open as much as I have wiki open.